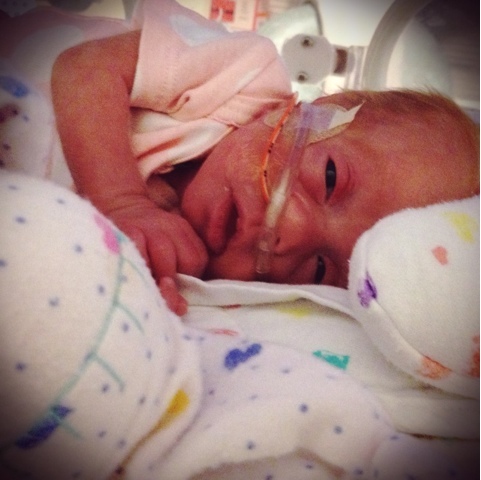 I can't believe we've been in the NICU for 7 weeks. 50 days! And 50 long sad nights without my princess. I had a great day with Briella today. Just feel like we are in a good place and felt joy being around her all day. And it helps that our favorite nurse was here. I can't explain how warm it makes me feel to see her in actual clothes. Today we put on little sock booties. She didn't kick them off like I was for sure she would. 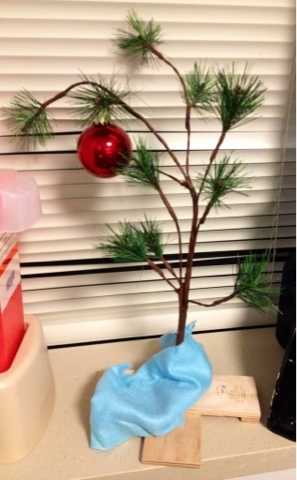 I brought a Charlie Brown Christmas tree to put in Briella's room at the hospital today. The box said "All you need is a little love." I thought it was perfect. Briella is a lot like that tree. She was born small ad fragile and there were doctors that didn't want to try to have her here, but with a little love we have a happy and healthy baby. 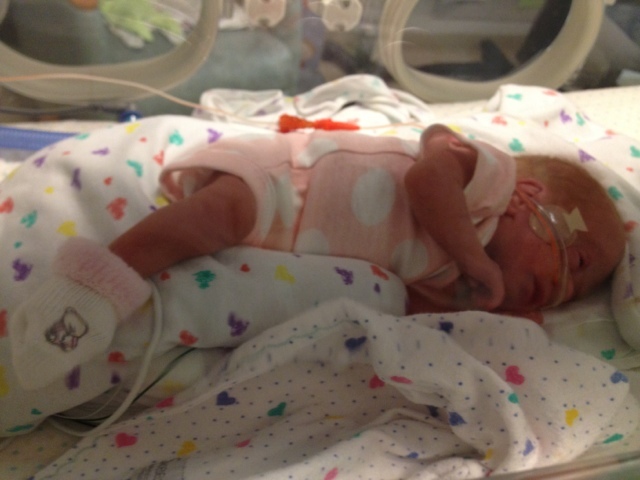 Briella is 2 pounds 15 ounces and 1332 grams. They have went down on her extra calories. That is great news also. It means its 2 parts my milk and only 1 part formula. She is also taking 24ml every 3 hours! So proud of my big girl! I believe 28 mL is an ounce. 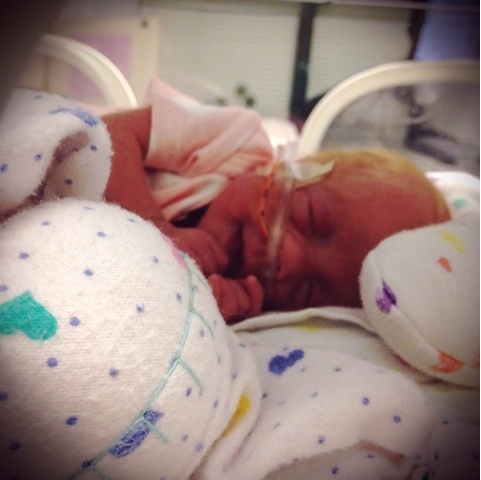 Please pray that little Briella stays infection free and can come home healthy! I was a fellow WTE mom on the January board. I have been following your journey since the beginning and have been praying for your little girl. Through your journey I learned we would be delivering at the same hospital. Very ironic I know. I was pregnant with twins who decided that I was not to Black Friday shop but have them instead. I now have premie babies in the NICU at OPR as well. I just wanted you to know that through you blog and updates I was at peace that my children would be going upstairs. All of the staff that kept assuring me that my babies would be taken great care of I gave the response I know...and said because I have followed your journey and I see their work being done. I just want you to know without your blog I would have been a nervous wreck but because of your story I could be at peace knowing my little ones would be in good hands. A lot of the information the neonatologist said was terms or procedures I would not have been able to understand but because I follow your blog I knew exactly what he was saying. I will be upstairs everyday as well so if you ever want to say hello or share a chat we are just down the hall I'm sure. Feel free to email me alself1744@gmail.com I forget the name of our wing but it is the one to the right of the main door. I will be up all morning today 11/26. I will keep praying for your little one and hope that she continues to do well. Our babies seem to be in great hands. Thank you again for having this blog because without your story I would have been a nervous wreck to have babies upstairs. I love her little smile and her Christmas tree! I am also a mom from the WTE January Board. Briella is in my prayers. What a strong little girl!